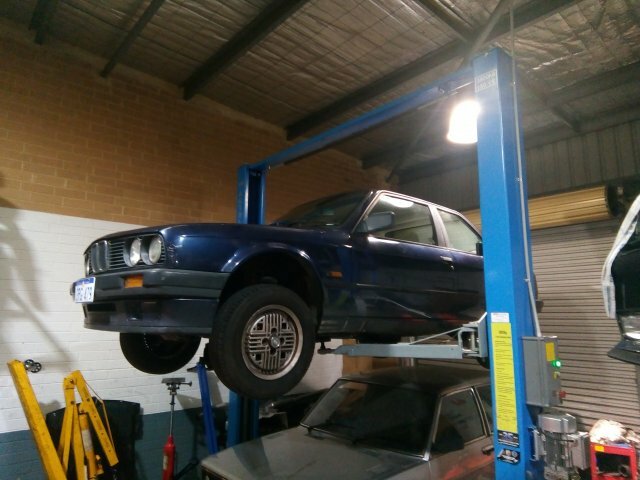 sYes , we have Joel getting in on the “SPEED” Conversion action now with the purchase of a 1990 “Lazurblau” E30 318i Coupe from Gumtree , this BMW can do with (More than) a refresh!!……. 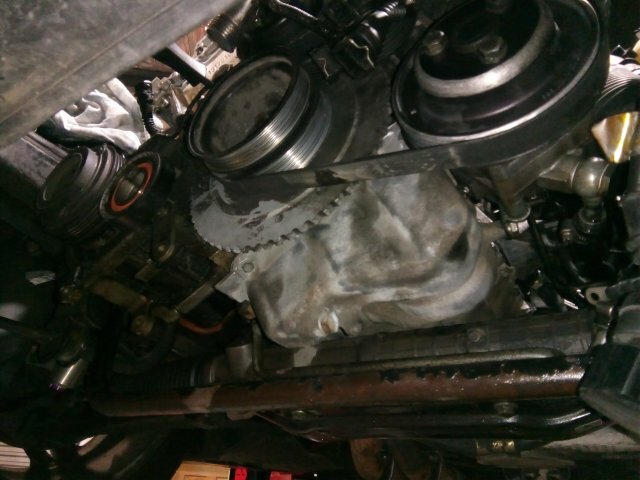 So a lightly modified S50B30 M3 motor and 5Speed box, JB racing flywheel, gripforce clutch kit etc is on the cards, but for the starters a M52 2.8 using the alloy flywheel and AKG short shift, Full Stainless 3″ exhaust after factory S50 extractors, Joel has collected most parts along the way like e36 KW coilover kit with e36M3 front legs including big brakes on e36 5Stud Conversion and 3.46LSD, the body he wants is all standard E30 late model….the “Q” car ! Update 7/2018- The mighty 318 was getting a 5stud conversion first ,but Joel has removed and sold of the M40b18 motor and autobox! Time to clean engine bay and think about the Auto to 5speed Man conversion ,before the interim m52b28 goes in….!!! 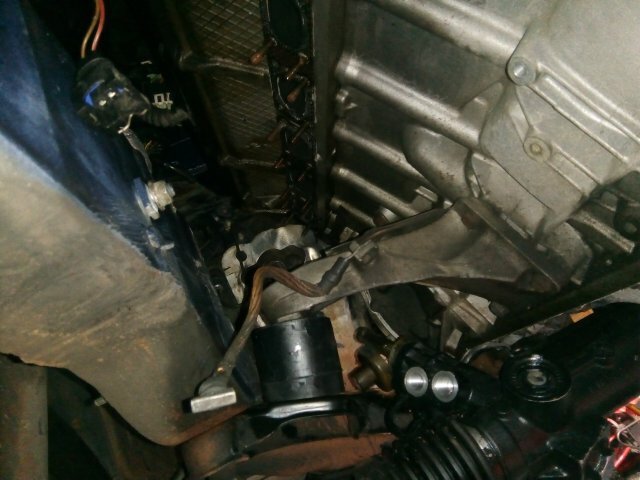 Update 8/2018- M40 motor and Automatic is out (Sold)and e46 steering rack job done….Auto to man conversion first ,New clutch line with master and slave cylinders in and link to steering rack done! pedal box with the extra pedal and AKG Short shifter, m52b28 with s50 extractors (to be done last)and alloy flywheel in for now until the S50 motor is built! Update 9/2018- Not much time to be on Joel’s Beast, however m52 in and making Noise! 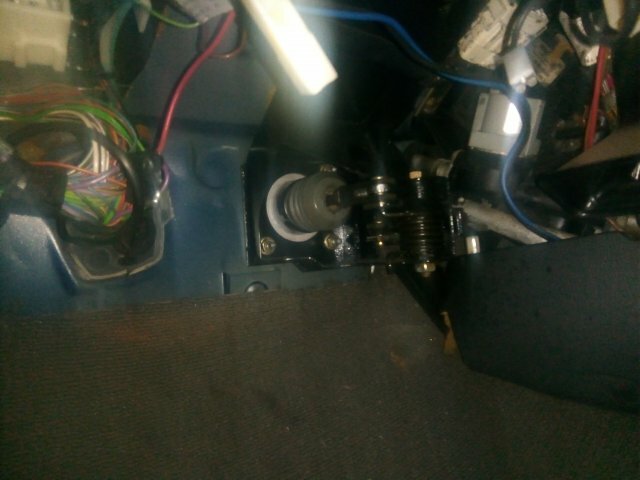 , Auto’ to Man using M3 ZF Box in and Done, including the AKG shifter! Update 10/2018- Wiring to e30 from m52 done and tidied up with factory plastics to hide! 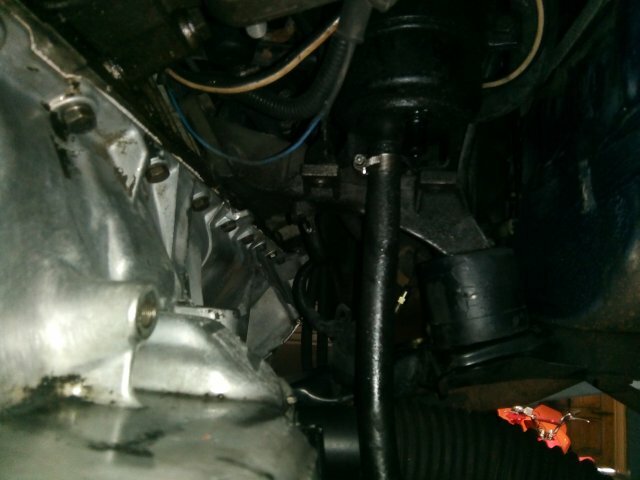 Update 11/2018- Radiator and hoses (e36328) converted and in , week4- VW Golf brake booster modified to take threaded adjustable pivot for e30 RHD ,air intake sorted, Recaro Seat mountings next! Update 12/2018- Started motor to check oil pressure/water leaks etc! measured rail mountings for Recaro seats! Update 2/2019- Cut and drilled steel for rails, cut e36 pipes to modify exhaust headers!